'DIO Digital Academy' in full operation. Advanced technology of digital dentistryspreads to China. Digital dentistry leader DIO (CEO Kin Jin Baek) has fully launched DIO Digital Academy, a global digital dentistry talent training program. DIO successfully completed 5th and 6th courses of 'DIO Digital Academy' for 30 Chinese dentists during February 20th to 22nd, and January 15th to 17th. All speakers with rich clinical experience and knowledge in digital dentistry were mobilized for this 'DIO Digital Academy'. At the digital implant session, Dr. Jung Dong Geun (Segyero Dental Hospital) and Dr. Kang Jae Seok (Mokpo Yedam Hospital) shares the effective use of digital implant DIOnavi and various clinical application secrets, introducing the digital dentistry core know-how and showing live surgery that utilizes DIOnavi and the digital dental care system. At the digital prosthesis session, Dr. Shin Jun Hyuk (Digital Art Dental Clinic) and Professor Lee So Hyun (College of Dentistry, Pusan National University) freely share their experiences for a successful implant treatment in the prosthetic perspective from the optimal location for implant placement to implant prosthesis occlusion and design methods. 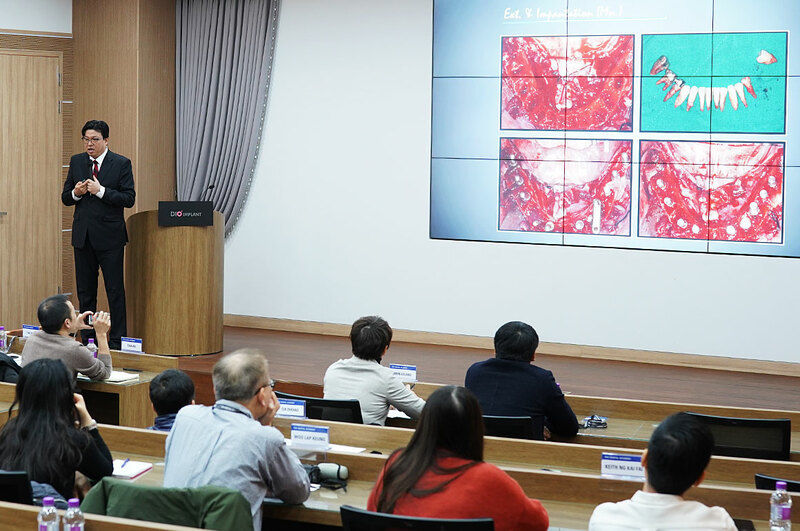 In addition, at the special lecture session, Professor Huh Jung Bo (College of Dentistry, Pusan National University) revealed usage guide tips and considerations for immediate implantation and loading for various cases that can be immediately used in clinical practice. DIO's Director Choi Kang Joon said, "The 'DIO Digital Academy' will operate in significant expansion this year compared to last year. This is DIO's educational innovation program, which is being reborn as a global digital dental school. We will continue to do our best to lead the future development of digital dentistry, going beyond educational innovation." PreviousMOU signed for the provision of dental management consulting information between DIO and Hoin Friends.